In the greater St. Louis area, we have an abundance of beautiful trees from thousands of species. Each tree specimen has specific dos and don’ts when it comes to care – especially pruning. If you are a homeowner and you attempt to trim your trees without the proper knowledge of what each tree needs and accurate pruning techniques, you may spell their demise. Our certified arborists at T & L Tree Service are experts at every kind of tree in our area and can help you prune your trees properly for long life. When pruning young trees, each cut has the potential to determine and change the growth of the tree. Trees do not heal the way humans do. Other things to consider include type of pruning tools, trunk development, branch selection, and technique. Pruning mature trees needs to be done with the understanding of each cut. Are you pruning for dead wood, hazardous branches, or limb crowding? Which limbs do you take and where do you cut? If any of these are done without expertise, you may be jeopardizing the health of the tree and potentially shortening its life. Cleaning – our ISA arborists can assess where the removal of dead, dying, diseased, crowded, weakly attached, and low-vigor branches can improve the health and look of your trees. Thinning – this should only be done by an arborist. It is critical that if this needs to be done, it is done with the utmost precision. Removal of the right branches can increase light penetration and air movement through the crown. Removal of the wrong branches can set off a cascade of dying foliage and weak branches. 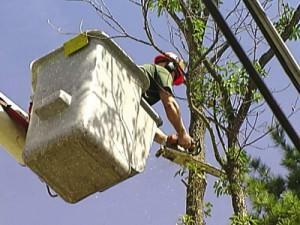 Raising – this means cutting lower branches and should be done when trees are young. If you have mature trees with really low branches and need clearance for buildings, vehicles, pedestrians, and vistas, you need to know where and what time of year to make the cut for each tree specimen. Reduction – this is not “tree topping.” Reducing the size of a tree, often for utility line or roof clearance, takes down the height by pruning back the leaders and finding other branch terminals that can act as leaders. This helps maintain the form and structural integrity of the tree, compared to topping which can cause instability and even death. Trees are sacred and take generations to grow – please don’t risk making the wrong pruning decisions and harming the health and lifespan of your trees. Our arborists are ISA Certified and T & L Tree Service is certified by the Tree Care Industry Association (TCIA). These voluntary certifications prove that we are educated with the latest information and continue to grow in our knowledge as the horticultural environment changes. We can prune your trees with precision to keep them beautiful and safe.